Influencing decision-making is challenging if you don’t have direct power. CHOOSING TO LOSE WEIGHT: What percentage of dieters reach their goals? Even though we have high control, it would seem, over what food we put in our mouths, there are many other factors acting as demotivators against the “lose weight” goal. We eat for many reasons including emotional ones that counterbalance the desire to look good. 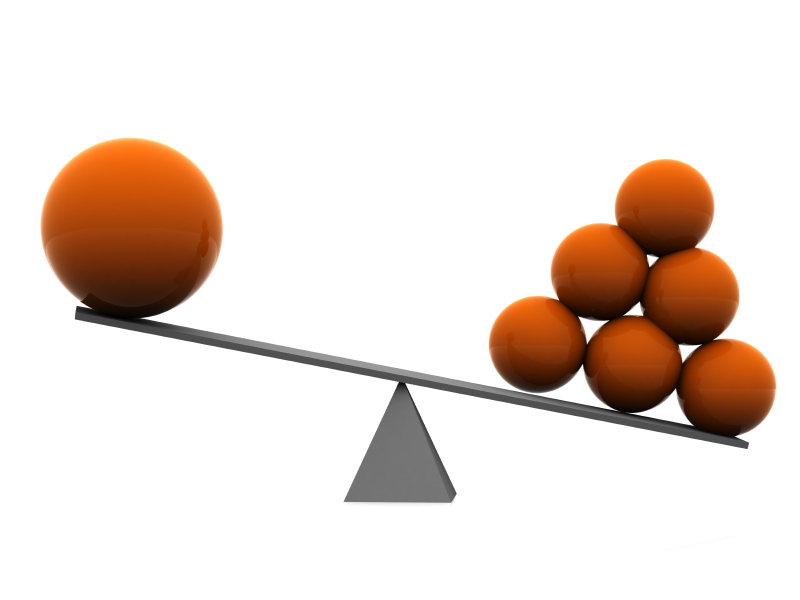 USING THE TEETER TOTTER EFFECT: Part of the success of influence rests upon our ability and willingness to put more motivators on the teeter totter, and take demotivators. MOST CHANGE EFFORTS FAIL: As many as 70% of mergers and acquisitions lose profitability. A majority of those are due to culture clashes. These are situations where there are way too many balls on the demotivating side, and they were ignored, not understood, or assumed to not make a difference. Plus, there is rarely enough personal reasons for people in the organizations to work hard to make it work. FOCUS: Often helping people focus more strongly on the aspects of the change that motivate them personally are key to gaining buy-in to a major change. Also reducing the things that make them want to avoid your changes as if they were poison. I’d LOVE to hear your ideas on how to tip the Teeter Totter to positive action. Please comment or send me an email. Great Post Bob! You are an amazing writer 🙂 The teeter totter effect is a difficult process to change. I think many times change comes when a person’s thinking changes as well as an individuals attitudes and/ or mood. The more individuals “doubt” themselves, have fears of the unknown, or a negative outlook on change, the harder change becomes. Staying motivatied and being AWARE of ones feelings and thoughts both positive and negative around the process of change I believe is a key ingredient in maintaining change. I think your are right, Kerry, that our thinking is a major part of the tipping the teeter totter one way or another… and that awareness is a key factor there. Cheers!